If you are like most homeowners, your chimney is not something you think about until you have a problem. Because chimneys go out above the roof line, they are exposed to more severe weather than probably any other part of your home. Spending a little time to protect your chimney now may save you thousands of dollars down the road if more serious damage did occur. Chimneys take a beating from severe weather year round. Water penetration is one of the single biggest causes of deterioration and damage. Waterproofing your chimney is a simple task that will extend the life of your chimney for years and protect against expensive repairs. Chimney leaks are a frustrating problem for many homeowners. Waterproofing your chimney is the best way to solve chimney leaking problems. 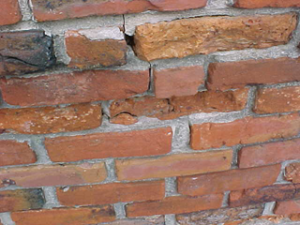 While there are several potential sources of water intrusion on a chimney, the brick and mortar joints are usually the most obvious places to start. The first step to waterproofing your chimney is to determine how much material is needed. Measure all the sides of your chimney to determine the total area. Calculate the area of each side of your chimney then add all 4 sides together to come up with the total area. If the chimney has any mold, dirt, rust, creosote stains, efflorescence or any other foreign matter, you will want to remove it first. This step is important because getting overspray on the shingles can cause discoloration. Use a canvas drop cloth or a material that absorbs well around the base of the chimney. Don’t use plastic drop cloths because the material can become slippery and the overspray can run off onto the roof. If the chimney has minor cracks, repair these before you waterproof it. If the chimney has more severe damage that requires tuckpointing or rebuilding, you may consider hiring a pro. One important point to consider is the difference between a sealer and a water repellent. Sealers will form a film on the surface and will trap moisture inside. Water repellents are the opposite. They are breathable and will allow the surface to breathe, while keeping water out. Once your drop cloths are in place, apply the water repellent using a pump-up garden sprayer with a fan type nozzle. Use your area calculation in step 1 to determine how much water repellent material you’ll need. Start at the bottom of the chimney and gradually work your way to the top.